Take a look around Run Cottage Touring Park, great for caravan holidays in Suffolk! 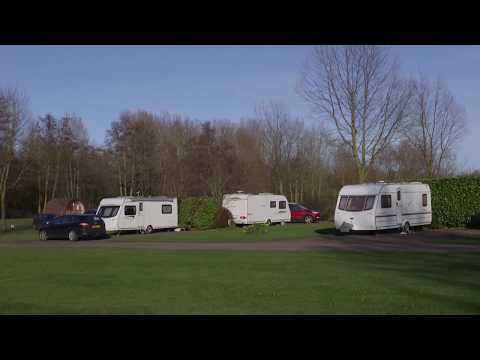 ‘Probably the friendliest caravan site in Suffolk,’ says Run Cottage Touring Park’s website, and a lot of you would probably agree with that – many who nominated the site mentioned how warm they found the welcome here to be. This is a small site; it has just 45 pitches (including 14 with hardstanding) and two glamping pods, but they’re set across 4.5 acres of parkland, so there’s plenty of space to enjoy. It’s an adults-only site for 2018, so couples touring without children will find even more peace and quiet. A tourist information area, clean toilets and a washing-up area are among the amenities to be found here. There are many attractions to enjoy locally, including Sutton Hoo and the castles of Framlingham and Orford, plus the towns of Woodbridge and Aldeburgh. We are located, in Suffolk, East-Anglia, in the pretty village of Hollesley, 20 minutes south-east of Woodbridge. You can find us on the map below. Turn Right off the A12 (Ipswich-Saxmundham) at Melton onto A1152 (sp Bawdsey, Orford) within 1.5 miles turn right at roundabout onto B1083 (sp Bawdsey, Hollesley) within 0.75 miles fork left (sp Hollesley 5 Miles) (not straight on) you arrive into Hollesley on Duck corner Cross Roads. Turn right into “The Street” continue through village down a small hill over Red brick Bridge, the site is on the left, 100 yard past the bridge. Please beware if you have a Sat Nav or are using an online route planner that it may direct you to Felixstowe. This is only a foot ferry across the river and not Car ferry. You need to go via Woodbridge.